A UNIVERSITY of Manchester graduate says she is "proud and humbled" after taking over the helm at one of the world's foremost health charities. Michelle Mitchell OBE, who was born and brought up in Cheshire, has become Cancer Research UK's first female Chief Executive. The 45-year-old mum-of-two has pledged to put those affected by cancer "front and centre" as she sets about tackling one of the UK's biggest killers and a disease that will affect one-in-two people at some stage in their lives. It's a position that comes with huge responsibility as last year the charity, which receives no government funding and relies on the generosity of the public, spent over £423m on life-saving research, including £26m in Manchester. But Michelle, who was the first member of her family to attend university – earning a BA in economics from the UoM in 1994, is well equipped for the job. Before joining Cancer Research UK, she was CEO of the MS Society for five years and a founding member of the Progressive MS Alliance - a global scientific and research joint venture tackling Multiple Sclerosis. Prior to that, she was Director General at Age UK, the UK's largest older people's charity where she worked for nearly a decade and was at the forefront of national debates on health, care and welfare. She is also a non-executive director at NHS England, which sets the priorities and direction for the NHS in England, as well as a member of the National Cancer Advisory Group. Michelle said: "It's an honour for me to be appointed CEO of Cancer Research UK. My family, like many others, has been affected by cancer. It's a disease that doesn't discriminate. In fact, one in two people will be directly impacted by the disease in their lifetime. "I am extremely proud to have graduated from The University of Manchester. I feel the education I received in the city gave me a great foundation in life and has helped me in every step of my career. "Having been brought up in the North West and still having strong ties to the area, I feel particularly passionate about making a difference here. Sadly, due to a number of industrial, social, population and economic factors, the number of cancer cases in the region is significantly higher than the UK average. It's a sobering fact that five people are diagnosed with cancer every hour in the North West." Thanks to research, more people are surviving cancer than ever before. Survival has doubled in the last 40 years in the UK and Cancer Research UK's work has been at the heart of that progress. Today, two-in-four people survive their cancer for at least 10 years. Under Michelle, the charity's ambition is to accelerate progress so that by 2034, three-in-four patients will survive for at least 10 years. 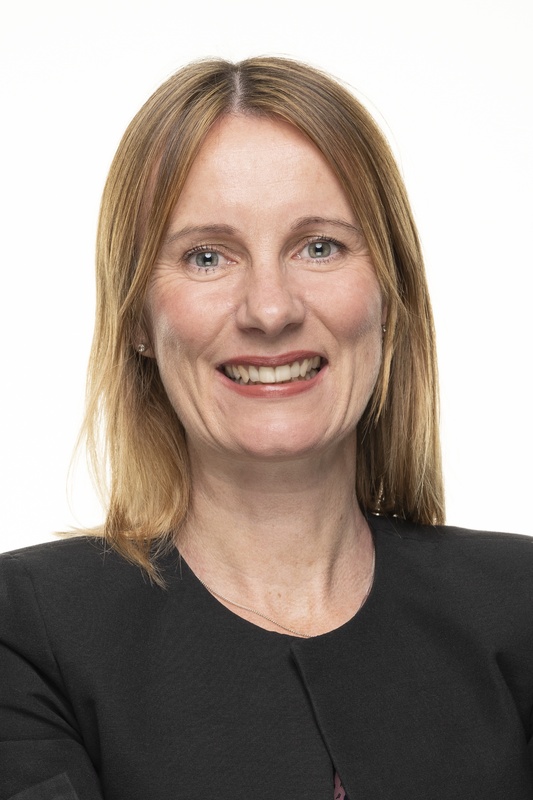 Michelle added: "I'm particularly looking forward to working with our partners - The University of Manchester and The Christie NHS Trust - as part of the Manchester Cancer Research Centre. And I'm eager to champion the fantastic work that Cancer Research UK undertakes in Greater Manchester, in Liverpool and throughout the whole of the North West. "The scale of the challenge is immense, but the charity's research is crucial to help improve survival and enhance the lives of those touched by the disease. "We are working with councils, GPs, dentists, pharmacists and health professionals across Greater Manchester on projects such as improving smoking cessation, increasing uptake of bowel cancer screening and addressing health inequalities." Michelle, who grew up in Ellesmere Port and now lives in London with her husband and two young children, was awarded an OBE in 2015 for services to the charity sector. She took over as Cancer Research UK chief executive earlier this month after Sir Harpal Kumar stood down from the position that he had held for 11 successful years.